You know, I've been missing this space terribly, as well as missing the creative outlet that my toys give me. I've definitely been doing a lot of making lately, both sewing and knitting, but I've felt the need for something a little more. Have you been missing me too? 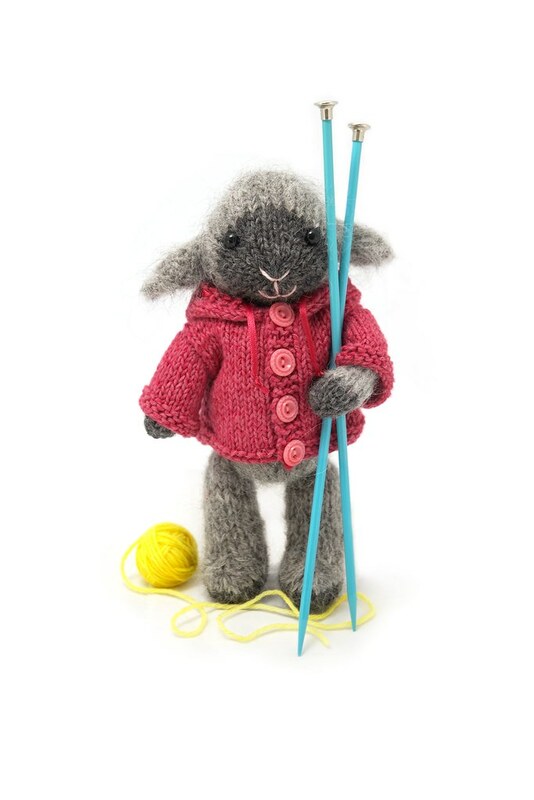 In an effort to both encourage you to do a little bit of creative knitting, and to thank you for sticking with me through the past few months, I've decided to hold a give-away! To enter, please leave a comment telling me what toy you'd like to make. I'll also need your email address, since I don't get to see those via blogger. Otherwise, you'll need to remember to check back here to see if you won. So, what could you win? I'll be giving away 2 copies of my e-books*, Fuzzy Knits and Festive Knits (if you win, you choose which one you'd like). I'll also be giving away 5 individual patterns, of the winners' choice. So that's 7 chances to win! The give-away will close on the evening of February 13, so you have lots of time. Then 5 lucky people will get a happy surprise on Valentine's Day! (and if you live in the northern hemisphere, it helps to have good things to lighten up February). Still here! Still breathing! I'm taking what time I can to do things that make me feel better, but that doesn't leave much for answering emails, writing, or work-knitting. Hopefully you haven't been waiting too long to hear from me (my group on Ravelry is super helpful if you need a quick question answered). Here's something I have been doing: enjoying plenty of time with these chubby cheeks! Kyr is over 10 months now: crawling, walking around the furniture, babbling all day long, and growing out of everything! 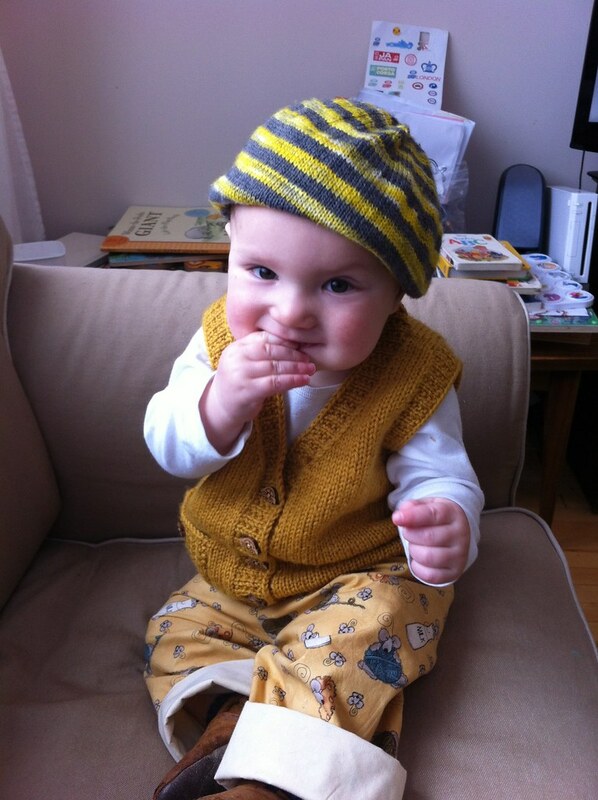 Here he's wearing some pants I quickly whipped up from an old pattern I borrowed from my mom, a vest I knit him a month ago (with cute car buttons from my friend), and a hat I knit for Lev last Autumn (the hat is way too big on him, but looked too cute!) As you can tell, I'm making the most of this little break from work.